South Sudan, devastated by decades of war that caused the deaths of two million people and forced four million to flee, continues to face multiple humanitarian challenges including internal conflict and displacement, food insecurity and high rates of malnutrition, poor access to basic services including education and healthcare, and weak child protection mechanisms. 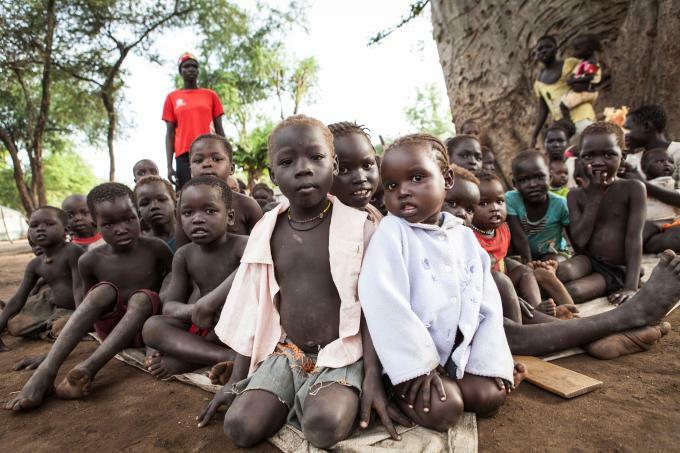 Save the Children has been working with and for children, their families and communities in South Sudan since 1991. We provide children with access to education, healthcare and nutrition support, and families with food security and livelihoods assistance. Our child protection programmes support vulnerable children including former child soldiers and those affected by violence and displacement, as well as advocating for children’s rights at national, state and community levels. In a country affected by regular outbreaks of conflict, food shortages and natural disasters such as floods, we are ready to respond to the needs of children and their families with a focus on providing emergency relief items, education and child protection support. We are currently providing support to children affected by the on-going conflict across much of South Sudan and refugees in Upper Nile state.